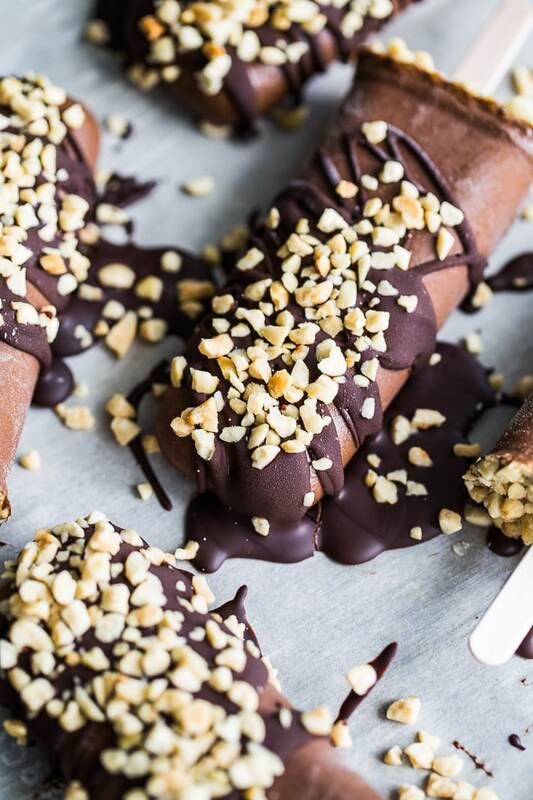 We do call them fudgesicles here and my kids love them. 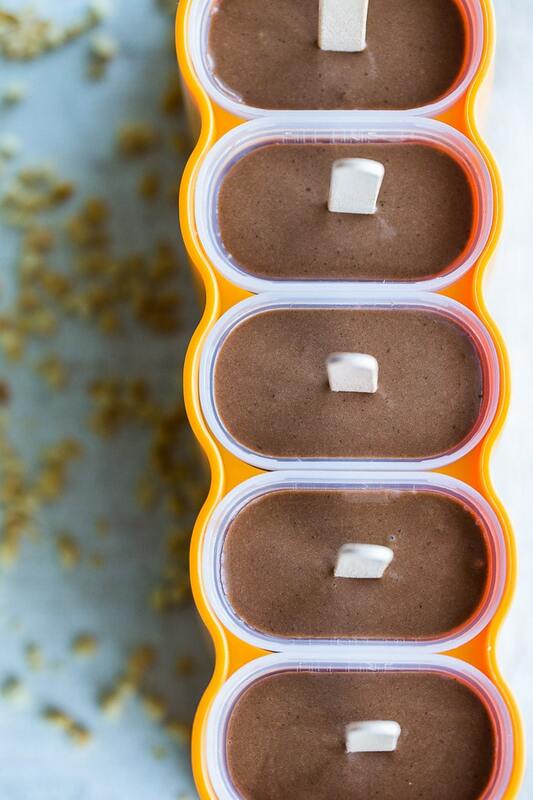 I’m not a fan of the packaged kind because they’re so full of crazy ingredients so I’m all for making my own! These would be hit here and I’m adding these to my list to make before summer is over! Thanks Marcie! I haven’t had a packaged fudgsicle in such a long time. And I don’t think I’ll buy them now that I have this recipe. Hope you get a chance to make them before summer is over! Would love to know what you think! I’m familiar with all these terms, lol. We do often have our own language and sometimes I have to ask myself ‘is that what people outside Newfoundland say…will they know what I mean?’ Lol. I can’t believe we are nearing the end of summer. Like, where did it go? Seems like only yesterday is was here and now Hallmark has Christmas decorations out. Geez. I could definitely go for 1 or 5 of these pops right about now. I don’t mind getting messy either 😉 Bring on the drizzle! Thanks Dawn! I’m so happy you know those terms too! I definitely think we have our own lingo around here. And yes, this entire year flew by. Can’t believe xmas is just a few months away again! Hope you’re having a great summer! haha I’m the same way…while I’m getting super excited for pumpkin pie etc, it’s STILL summer and I want all the no-bake treats, ice cream pies, ice cream anything…to try to celebrate summer as long as we can. We Canadians don’t get as long of a summer as some of our friends to the south, and ours is much longer than yours on top of that (haha! I’m only basing that on the fact that I was in NB in late May and you guys were getting snow lol) so I don’t blame you at all girl. Thanks Dana! We had a great summer in Newfoundland, but we really only get July and August. Winter seems to drag on for us. Luckily, we’re heading into fall, which is my fave time of year. I totally remember chipwiches and pudding pops!! Now, that’s a flashback to my childhood! Hope you’re enjoying the last few weeks of summer! DROOOOOL Leanne!! These look AHmazing. I actually have cold, strong coffee sitting in my fridge that’s just waiting to be turned into these!! I can’t wait. Yum! I think it was meant to be!! Hope you got a chance to make them! Take care Katherine! 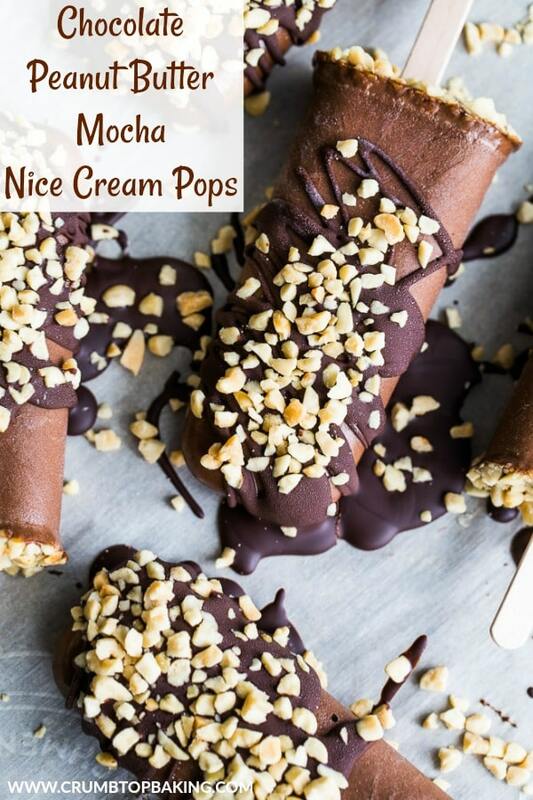 chocolatey pops with more chocolate drizzled on top? yes, please! Right?! Can’t go wrong with chocolate on chocolate! Thanks Heather! Haha! Thanks Patrick! Extra drizzle coming right up!! 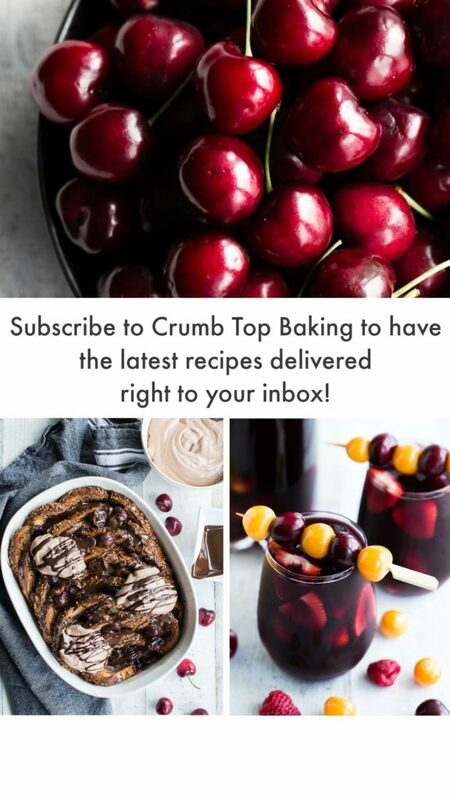 These look amazing….will definetly have to try them. Thanks Terry! Seems like a pretty practical name, right!? Hope you like them! Delicious and good for you? Count me in Leanne! These look fantastic! Love the toppings too. Thanks Mary Ann! I can’t resist the toppings! 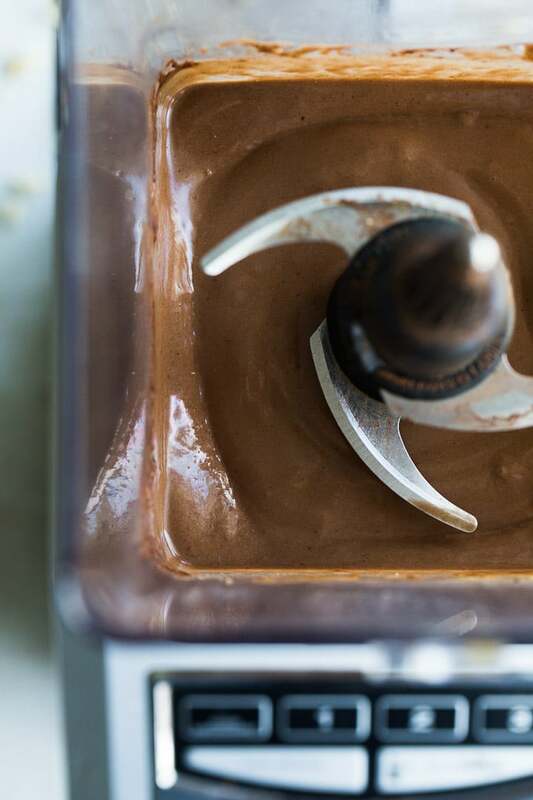 Always adding a drizzle of chocolate to desserts! 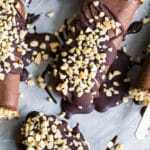 Here in Australia, we would call these icy poles or just ice cream sticks but whatever you want to call them I cannot way for Summer to make these. Thanks Marie! Icy poles!? I love that! Can’t wait to hear what you think once summer rolls around for you!! Chocolate on top of chocolate is always better, IMO! These look so yummy I could even eat them in the dead of Winter! Love the addition of the coffee to these.Your pics are amazing – as always – and have me drooling over my computer this morning. I see these happening very soon in my future! Aww! Thanks Jo! You’re too sweet! Hope you get a chance to make them soon! Happy September! I love the tip to simply have patience! I think in this fast food world we all want things to come together so quickly. 🙂 These look absolutely delicious and your photos are excellent Thanks for sharing! Thanks so much Sharon! I wish I always had patience, but I learn the hard way when I try to rush recipes along! 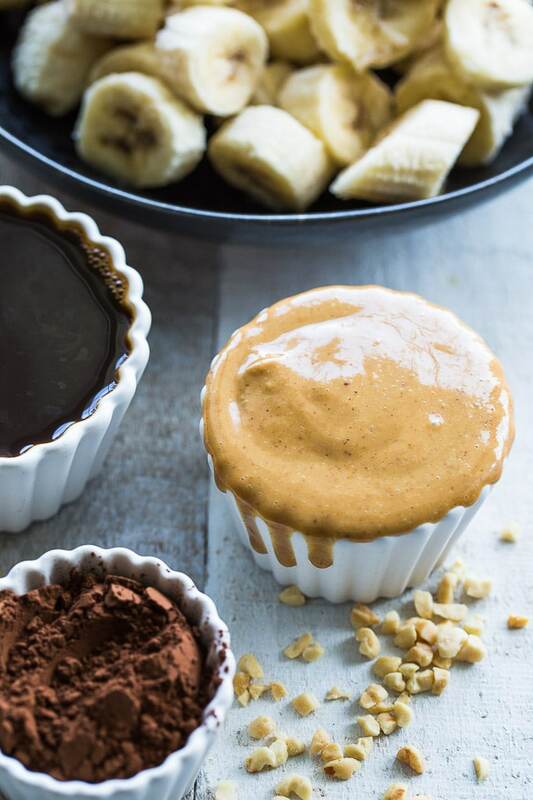 I love that there’s peanut butter in there- a bit of protein to go along with the (much needed, thank you very much) chocolate. 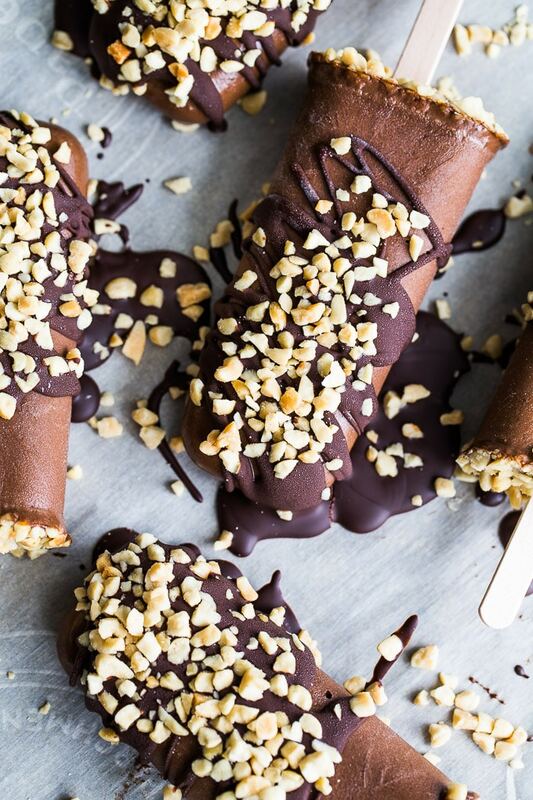 These nice pops are comprised of all my favourite things, chocolate, peanut butter and bananas. I have an insatiable sweet tooth and am grateful to you for giving me a relatively healthful way to satisfy my cravings!